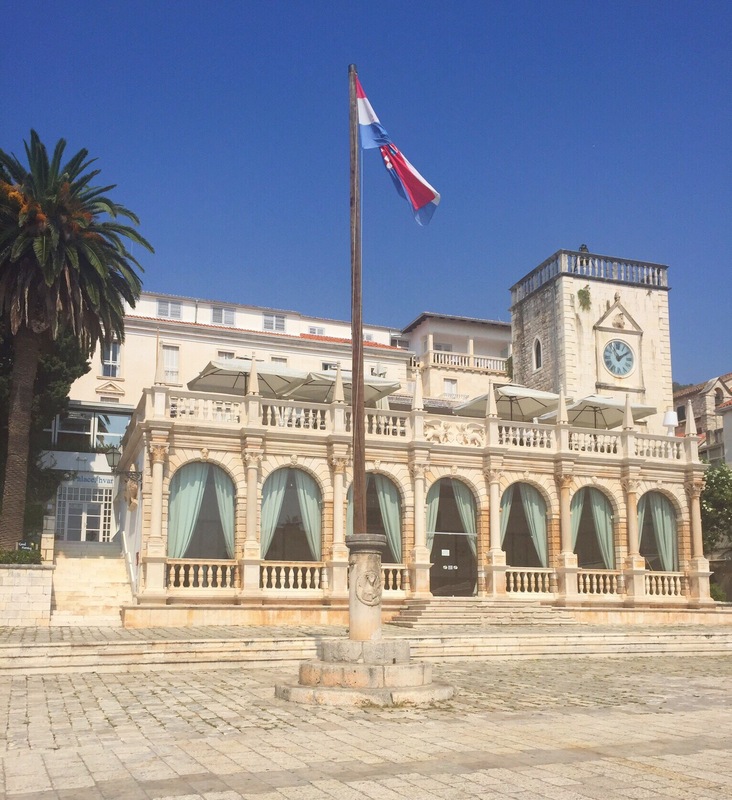 For those of you that have been to Croatia you will know how beautiful this place is, for those that haven’t, I would highly recommend it. 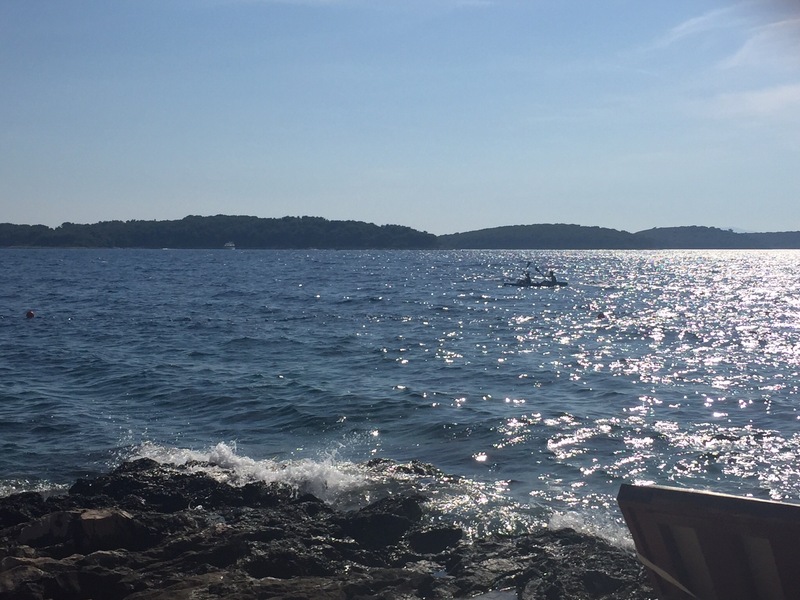 Even if you can only spare a weekend – it’s well worth it! That’s exactly what me and my friends decided to do in early September. 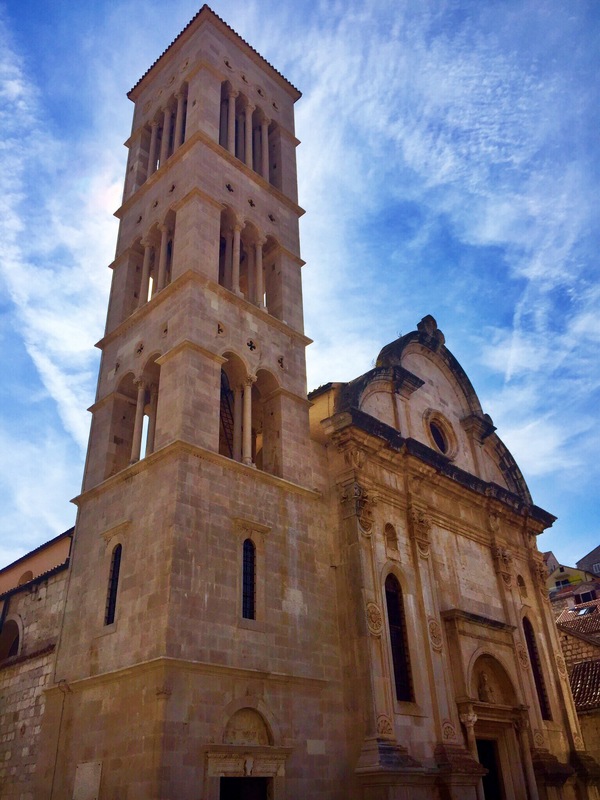 We travelled by air to Split, the largest city in Croatia. 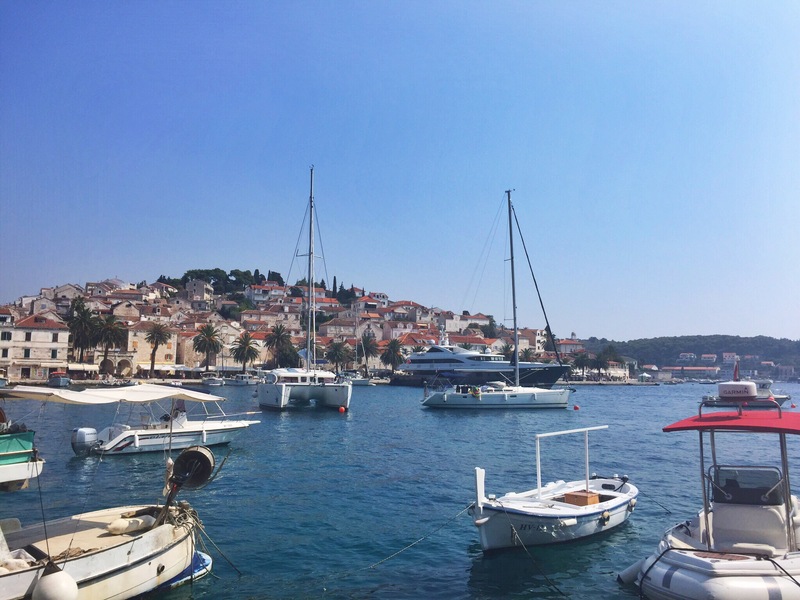 Then hopped onto a ferry to the picturesque island of Hvar. 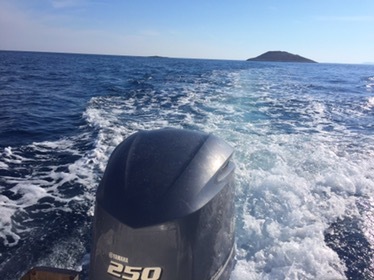 Arriving at the ferry port on the island, we were able to walk the short distance to our hotel, which looked out onto the harbour with stunning sea views. 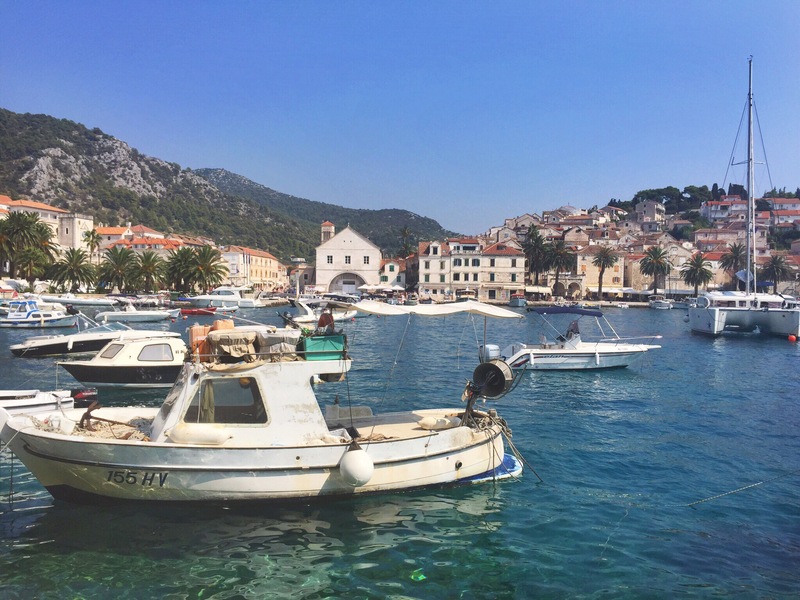 Hvar town is like no place I had been before with its Renaissance style architecture, cute wooden boats and little to no cars around, it felt like we had stepped back in time – in a good way! 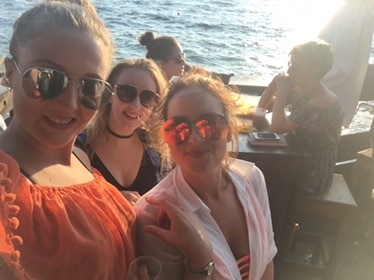 I won’t lie to you, we were not there to relax and sight see, we had an alterior motif… To let our hair down and party the nights (and days) away! 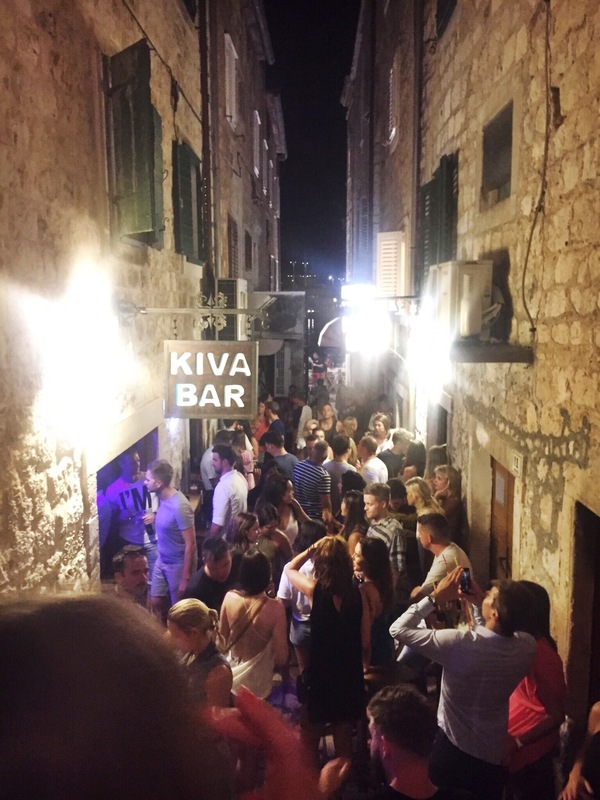 Hvar has become well known as a summer holiday destination for party goers from all over the world. 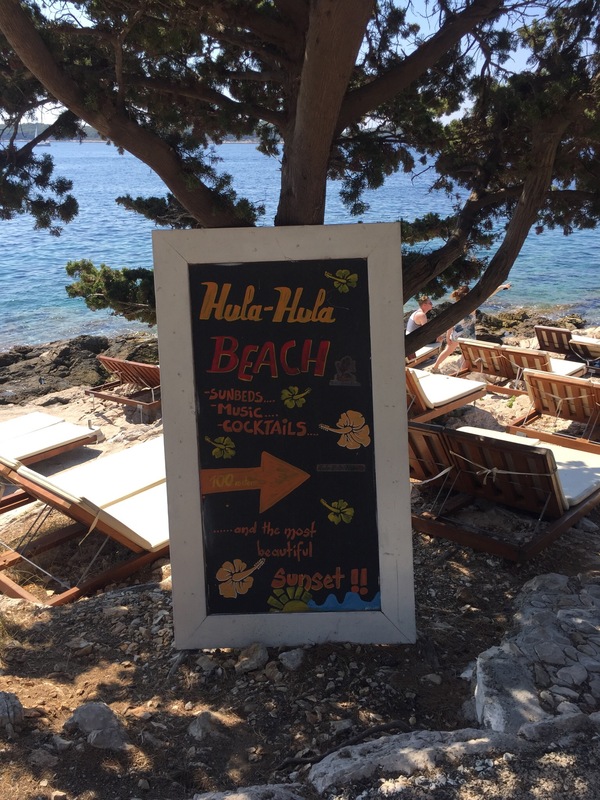 We spent most days at Hula Hula beach club, which is ashort walk from town, with great views on route and lots of places to stop off on the way. 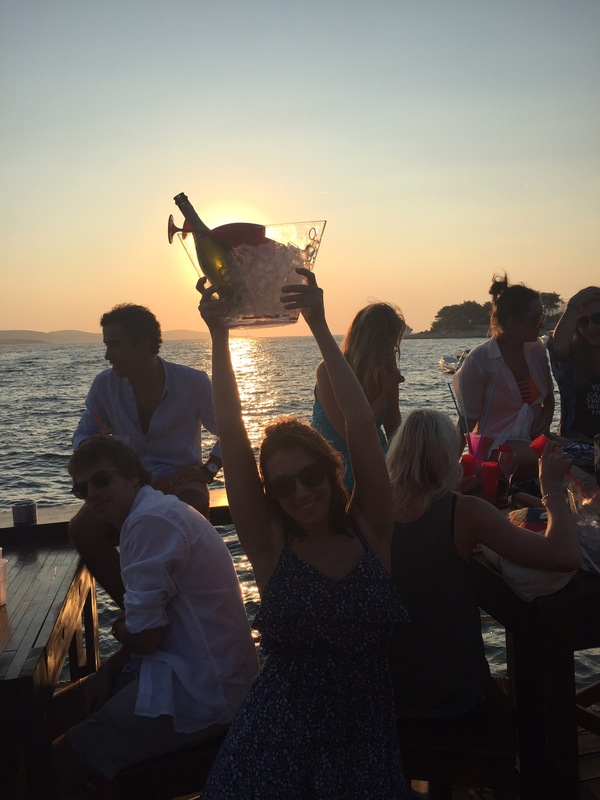 You’ll be met with fantastic food and chilled daytime atmosphere, with great cocktails and brilliant service. 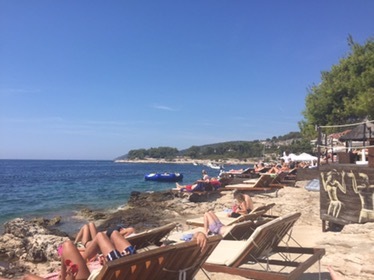 Sun beds are spread right across the edge of the shore so you can choose your spot right in the mix of it or slightly further away if you fancy a chilled day (maybe the hangover hasn’t subsided yet), either way the bar is a short walk or swim away. 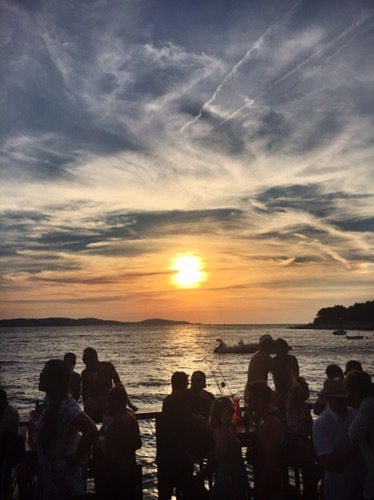 The sunsets are one of the highlights of Hula Hula, positioned right on the shore with a perfect viewpoint through the surrounding islands, straight into the sun setting in the sea. It’s not to be missed. 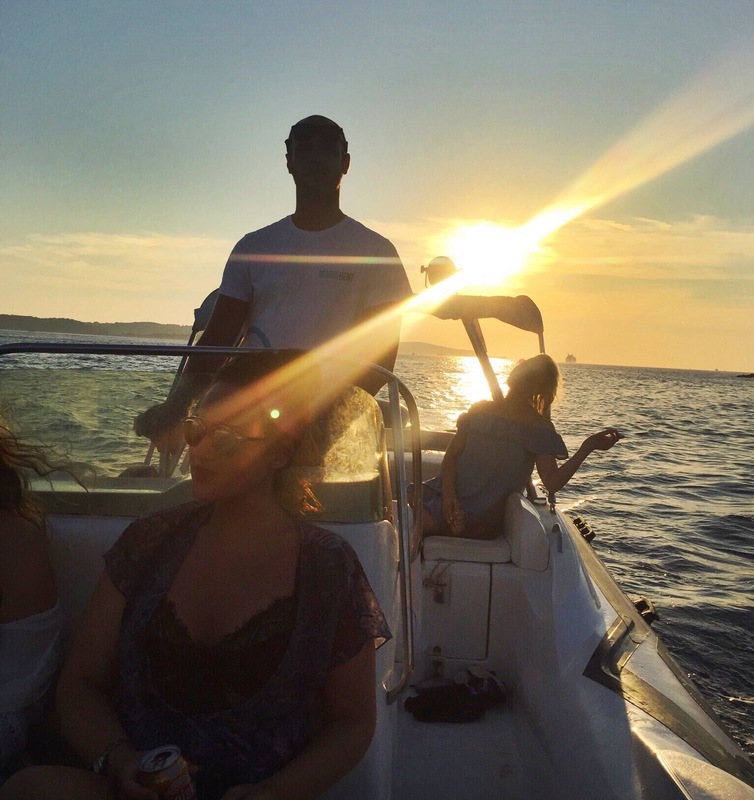 It’s the sun going down that really signals the start of the party, if table top dancing and spontaneous leaps into the sea are your thing then stay for the duration! Some great memories and fun had here. Taking a break from our daily routine on the island, we hired a boat and a skipper, for the day to take us around the islands. Well worth the money, he had so many fun facts to share with us and showed us places we would never have found if we went on our own. 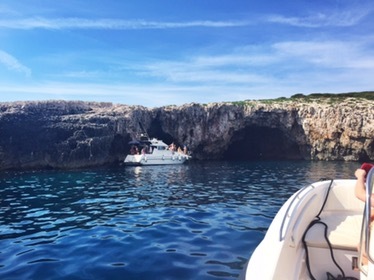 We visited the famous Blue Grotto in the bay of Balun, on the island of Bisevo, where we hopped onto some smaller boats. 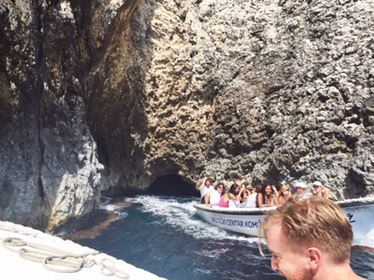 This is not for the faint hearted, we arrived at a small (very, very small) opening in the side of a cliff, thinking it was a joke, it wasn’t. 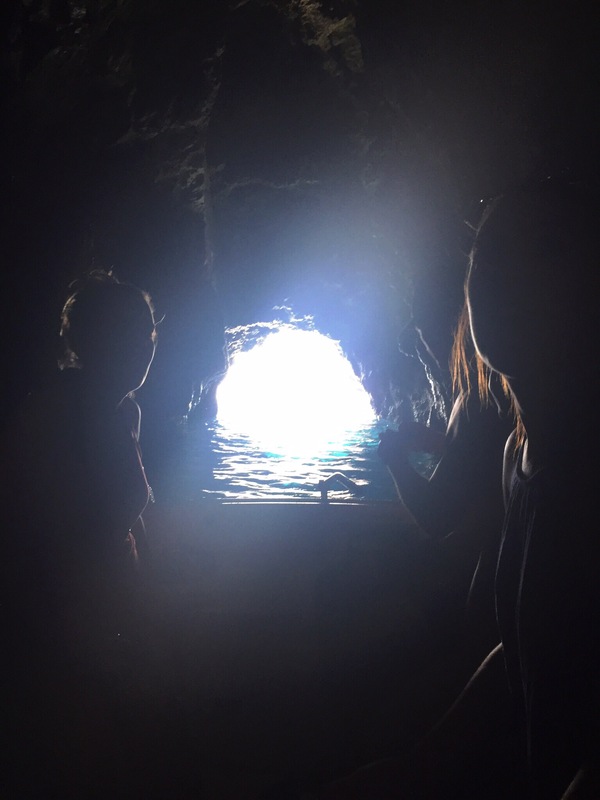 After ducking down as far as we could and letting out a few little screams of fear we made it through into the magical blue caves. Pure silence inside, it was definitely something to behold. 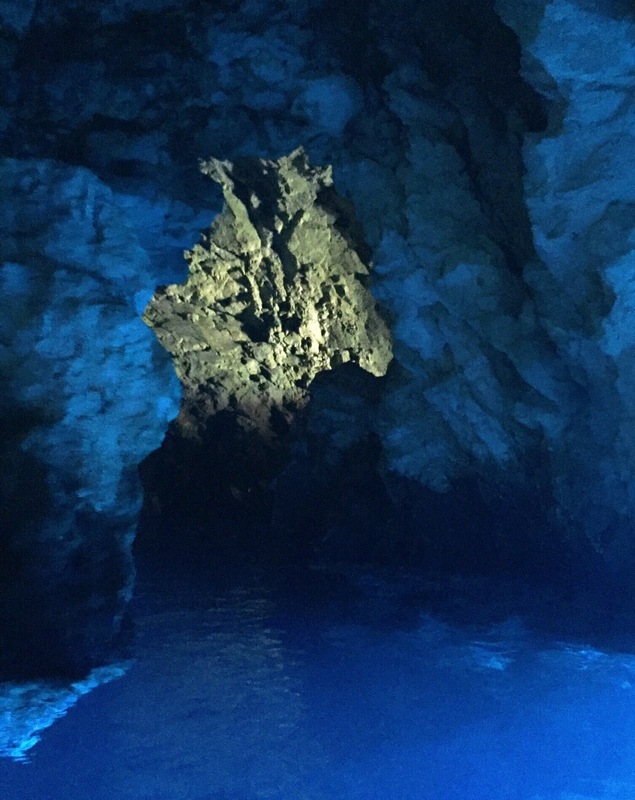 Afterwards we were taken to the green caves, which were much larger in comparison, but still stunning. Lit by a small opening in the top of the cave the waters were so clear you could see the fishes swimming on the bottom of the sea bed. Palmizana was the next stop on the way back to Hvar island, an uninhibited island, which has a fantastic marina, ample restaurants and a great beach. Perfect people watching spot. We stopped off for a fabulous lunch before heading back to Hula Hula to finish our evening. 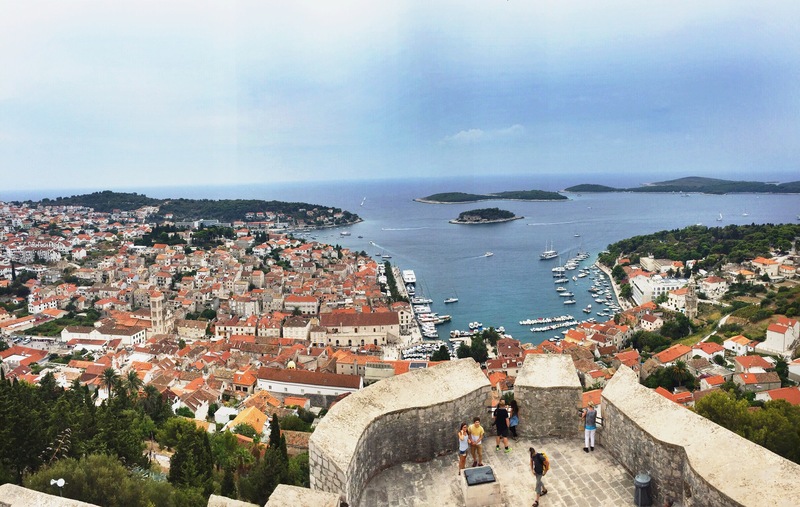 On our last day we walked up to the Hvar Fortress built in the 12th century, the fortress provided much needed protection throughout the history of the island. 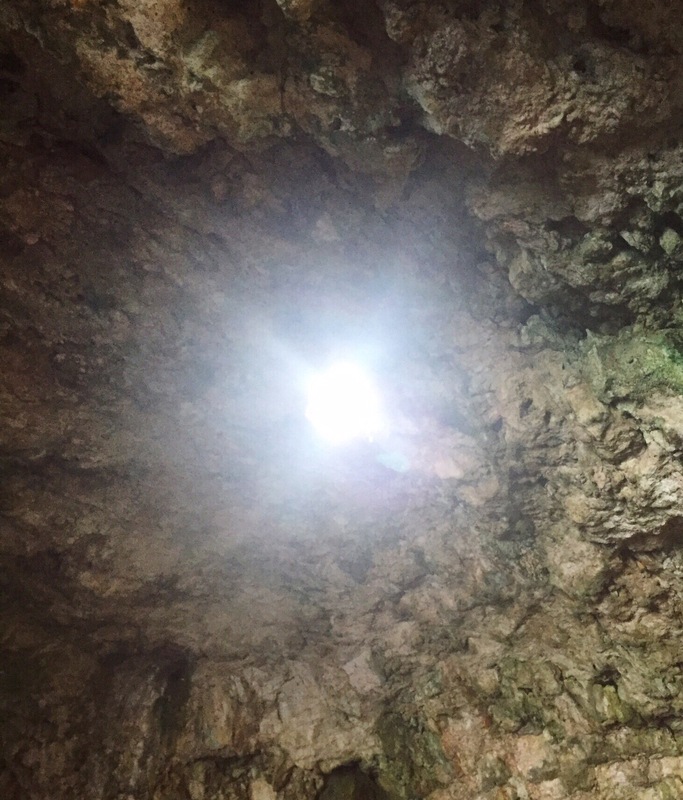 However in 1579 a lighting bolt struck the gunpowder magazine, which caused a huge explosion and severe damage meaning large parts of the fortress had to be reconstructed. 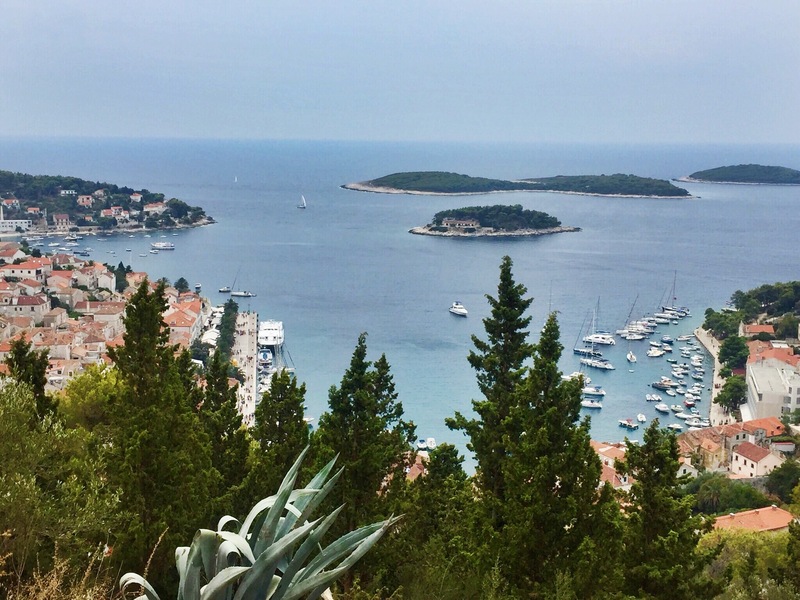 The highlight of the visit is the views you are rewarded with after the climb up the hill – spectacular! 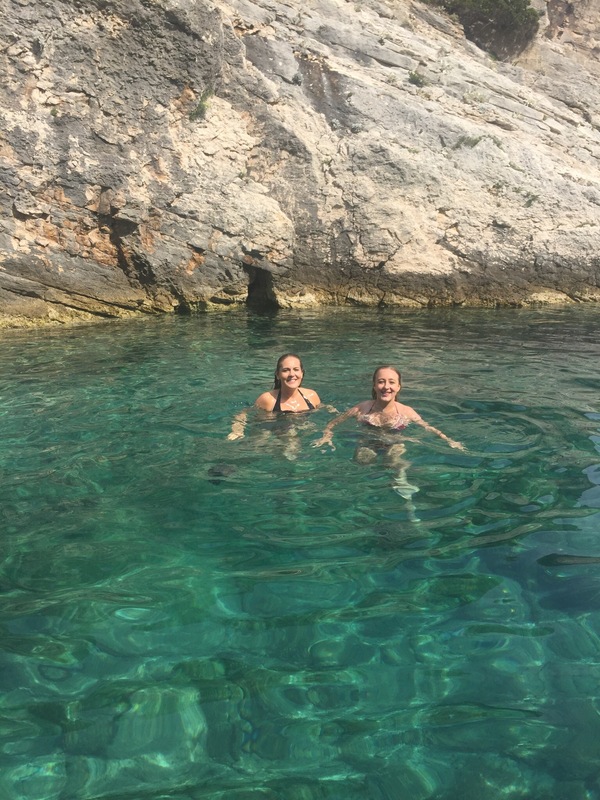 Hvar is beautiful the blue caves are stunning what a great place to let your hair down!